The National Endowment of the Arts recently reported that more Americans are reading poetry now than ever before. To many within the poetry world, this is not news at all, but a trend that has been underway since at least the early 1990s. As someone who has spent the last 20 plus years in both the spoken word world and more traditional realm of poetry, I concur completely. There have been thousands of poets, educators and activists dating back to the 1980s and even before that have led to this happening. You can even take it all the way back to the Harlem Renaissance, Beat Generation, Black Arts Movement, Punk Rock Poetry and the rise of Spoken Word. 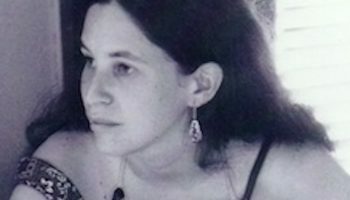 Tara Betts herself is one of these individuals who have mentored younger poets along with the poetry communities in New York City, Chicago, the Bay Area, Los Angeles, Minneapolis, San Diego, Seattle, Philadelphia, Washington D.C., Pittsburgh, Atlanta and so many other cities. National Workshops like Cave Canem, Kundiman, CantoMundo and VONA have also been influential. There are many factors that have led to the rise of poetry’s popularity. Some have tried to credit Instagram and recent poets like Rupi Kaur, but the resurgence of poetry has been underway for a long time. Dating back to the late 1980s, there was the rise of Slam Poetry and venues like the Green Mill in Chicago and the Nuyorican Poets Café in New York City. There has also been several published anthologies like The Breakbeat Poets and films like Slam Nation and Saul William’s award-winning film, Slam. 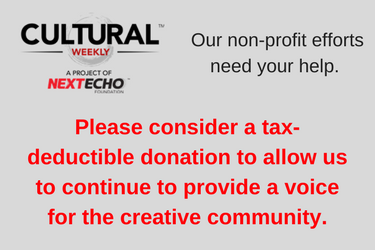 In the Bay Area, venues like City Lights Bookstore, La Pena Cultural Center, June Jordan’s Poetry for the People Program, Youth Speaks and Brave New Voices. In Chicago there has also been The Louder Than A Bomb Poetry Festival, Third World Press and pioneering poets like Haki Madhubuti, Gwendolyn Brooks and Patricia Smith. The Breakbeat Poets Anthology captured the spirit of The Young Chicago Authors and the intersection between performance poetry and published verse. More recently the new Haymarket Books anthology, Black Girl Magic carries on this energy. The Chicago-based Poetry Foundation is also a literary mecca with their website and performance space. In Los Angeles there have been venues like the World Stage, Tia Chuchas Café Cultural, Beyond Baroque, the Onyx Café, Da Poetry Lounge, Rick Lupert’s Cobalt Café, A Mic & Dim Lights, and many others. Also the work of Luis Rodriguez as Los Angeles Poet Laureate. Rodriguez used his two-year term to visit every branch of the Los Angeles City Library. In addition to visiting dozens of schools and doing over 200 events across the city, he also published an anthology of Los Angeles poets that included over 150 Southern California writers. Another poetic pioneer is Gloria Enedina Alvarez who hosted some of the first bilingual poetry workshops across East Los Angeles and Boyle Heights in the 1980s. In Little Tokyo, there has been the Tuesday Night Café open mic over the last 20 years led by Traci Kato-Kiriyama. Hundreds of Asian-American poets have come through here. Historically in Southern California, I think of the Watts Writers Workshop. This collection of poets was the West Coast branch of the Black Arts Movement. Influential poets associated with the Watts Writers Workshop like Jayne Cortez, the Watts Prophets, Quincy Troupe, Kamau Daaood and Wanda Coleman all went on to long careers and paved the way for the rise of Leimert Park and later LA institutions like the World Stage. These poets mentored later poets like Michael Datcher, AK Toney, Pam Ward, S. Pearl Sharp, Imani Tolliver, Shonda Buchanan, Peter J. Harris, Conney Williams, Hiram Sims, and countless others. I also think of the groundbreaking Women’s Building. Then there have been nonprofit organizations hosting workshops for younger writers like WriteGirl, GetLit Players, 826LA.and Say Word. 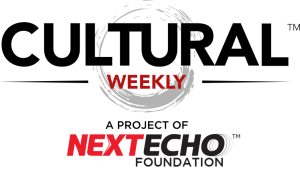 There are so many important organizations and people that have contributed to this. There are also hundreds of small independent publishers across the country who have been significant. Some of the most influential include City Lights, Coffeehouse, Fence, Graywolf, Haymarket, Omnidawn, Wave and many others. Obviously, there are hundreds of other publishers and equally rich histories in so many other cities. 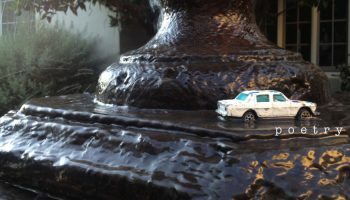 As a native Angeleno, my focus is mostly California because I know much more about West Coast Poetic history, but I encourage others across the country to write about their localities. There are thousands of poets, educators and organizations nationwide that have contributed to the rise of poetry’s popularity, but the point is that it has been a longtime in the making. I am always reading multiple books of poetry. Here are a few titles I have spent time with recently. Gwendolyn Brooks is a writer whose lifetime of work definitely paved the way for the rise of poetry’s popularity. Brooks was the first Black American to win the Pulitzer Prize and first Black woman to be appointed poet-in-residence at the Library of Congress. She was the Illinois Poet Laureate from 1968 until her death in 2000 and was even awarded a 1995 Medal of the Arts by President Bill Clinton. She lived most of her life in Chicago and she can rightfully be called the eternal poetic matriarch of the Windy City. Hayes has called Brooks his biggest influence and “the Golden Shovel” form he created has become one of the most popular new poetry forms across America, even spawning an anthology filled with versions of Golden Shovels by well-known poets like Billy Collins, Sharon Olds and Joy Harjo. 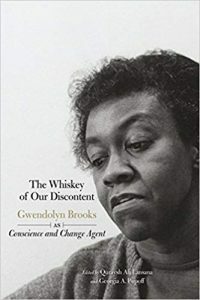 For anyone looking for more insight about the life of Gwendolyn Brooks or what a lifetime devoted to poetry can accomplish, this essay collection breaks it down. The 50 plus poems in this book meditate on race, American history, personal identity and what it means to be named after the most photographed man of the 19th Century. The San Francisco born and now Los Angeles based poet and educator F. Douglas Brown is named after the famous 19th Century former slave and abolitionist, Frederick Douglass and these poems address Douglass’s storied legacy. The poems not only examine Douglass, but Harriet Tubman, Sandra Bland, Bruno Mars, Rashida Jones, Don Cheadle, Freddy Gray, Eric Garner and most of all the poet himself. Brown has been doing the work as long as just about anybody. He’s been a high school English teacher for 23 years and he is most definitely one of the poets Tara Betts is talking about that have mentored hundreds of young poets over the last two decades. His own interest in poetry began in high school when he read a Quincy Troupe poem about Magic Johnson. In 2013, Brown’s first book Zero to Three won the Cave Canem Book Prize. I’ve written longer accounts about F. Douglas Brown here. Brown is also the creator and producer of the Sandra Bland Reading Series in Downtown Los Angeles that honors her legacy. “All in all,” Patrick Rosal writes, “Icon isn’t just a book of poems. It is a compendium of story, song, catalog and remix. It is a much-needed reappraisal of our most convenient narratives around race.” As Rosal states, Brown educates and entertains. A quintessential example of this is in the poem “Love Letter from George Clinton to Bruno Mars: an imagined conversation.” Brown states: “This funk nation was built on the backs / of those who needed voice, // so put your pinky / in your pocket, and listen.” Like Brown tells Bruno Mars, open up this book and listen—this is a poetic roadmap to freedom. The work of the San Francisco-based bard Tongo Eisen-Martin, according to Terrance Hayes in the New York Times Magazine, “displays the poetics between Babel and Babylon, a style compressed and personal enough to conjure Amiri Baraka, Baudelaire and Bob Kaufman. It makes reading a kind of revision, a reviewing, a reseeing.” The 42 poems in this poet’s second book are a volatile cocktail of surrealism, blunt images, raw observations and transcendent epiphanies. Eisen-Martin is a poetic Jimi Hendrix on the page and the stage. Claudia Rankine calls it “resistance as sound.” The sonic quality of his poetry is visceral. Eisen-Martin “would like to tell you that somewhere / Despite the checkpoints / There is an apostle body in which I can be free.” His work is musical, political and metaphysical simultaneously. These poems illuminate the “Empty Spaces,” and show how “A lot of God can happen in three seconds / Not much heaven though.” This collection is the 61st title in City Lights legendary Pocket Poets series. 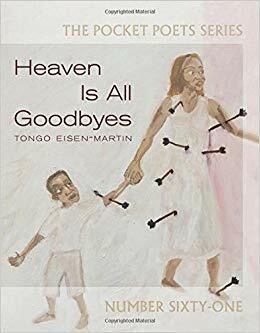 Both of Eisen-Martin’s books were nominated for the California Book Award and Heaven is All Goodbyes was chosen as the winner for 2018. His first collection, Someone’s Dead Already, was published by Bootstrap Press in 2015. He was also recently shortlisted for the Griffin Poetry Prize. A veteran cultural worker he has taught in a wide range of locations from Columbia University to Riker’s Island Prison. In many ways Eisen-Martin carries on the work of the Black Arts Movement. He performs his work with the pyrotechnic energy of spoken word poets but as Terrance Hayes alluded to above there’s a deep vortex of ideas, images and stream of consciousness embedded in every line of his work that is explosive and complicated. Eisen-Martin has performed with jazz musicians as well and this makes sense because his work is 21st Century bebop. Watch him rock here. Born in East Los Angeles, the poet, photographer and filmmaker Jerry Garcia is not related to the now deceased founder of 1960s Psychedelic band, the Grateful Dead. 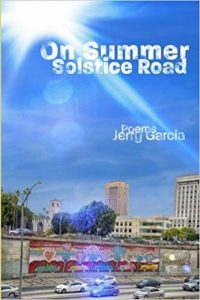 Garcia’s website and email address repeats this, “gratefulnotdead.” In any event, the 96 pages of poems in this collection reflect on 20th Century Los Angeles, his youth on the Eastside, his time working in Hollywood and formative years hanging in the rock’n’roll and disco scenes. In between comical images are an elegy for his father and deep nostalgia for a Los Angeles that no longer exists. Garcia is a down to Earth, pathos-filled bard and these poems have been around all the area codes. 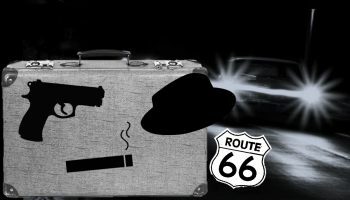 One of my favorites in the collection is “Interstate 60.” The poem begins: “I saw my neighborhood destroyed by destiny, when I was six years old.” The poem tells the story of how Interstate 60 forever changed the landscape of East Los Angeles, Monterey Park and Montebello. In recent years, a few historians, including Eric Avila have shown how the Los Angeles freeway system and the nationwide Interstate system bulldozed thousands of homes that were mostly immigrant neighborhoods and bungalow belts housing People of Color. He goes back and forth across time from “A skinny sixteen-year-old boy star(ing) through concrete pylons,” to “I must shift gears and exit this junkie-fueled existence before I too / disappear.” He also reminds us that “Freeways don’t cross cemeteries, they swerve around.” As much as Garcia has seen his friends and city disappear, he writes it all down, so we can all remember. 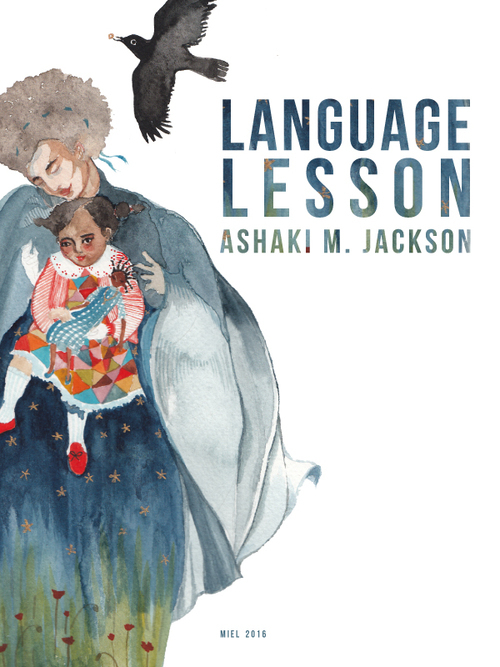 This short, immaculate collection is 12 poems by master craftswoman Ashaki M. Jackson. Meditating on the death of her grandmother, Jackson’s verse, writes Khadijah Queen, “offers a hovering wail. An upward prayer. A drenched silence. A sauntering hymn.” In poems like “The Body Has Its Custom,” Jackson reveals “how we carry our shattered selves/ into all spaces.” There is exquisite beauty in her imagery and the graceful phrasing even when the underlying grief lingers through the piece. Jackson is such a humble purist with her work that she even decided that 100% of the proceeds from Surveillance will be donated to the Black Youth Project 100, Say Her Name, Black Lives Matter and Native Lives Matter. Many professors have used the collection in their classes including Jen Hofer. “The brilliance of Surveillance.” Kenji Liu writes in The Rumpus, “is Jackson’s ability to take the language of that surveillance and expose its Frankenstein, Machiavellian surfaces. From common police state euphemisms and USAmerican similes to the dissimulating discourses of media, Jackson excavates language that buries, elides, sidesteps, and exposes our own collusion as USAmericans and media consumers.” You can read several of the poems here. See her read one here. Originally published in 1926, this rare Neruda title was the Nobel Peace Prize winning Chilean poet’s 3rd book and it’s different from his other work. After years of being out of print and nearly forgotten, City Lights has just issued its first translation into English 92 years after the fact. The book is an epic poem in 15 cantos that do not adhere to any type of punctuation, rhyme, meter or capitalization. 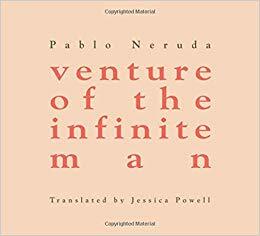 Neruda always said it was an important book in his poetic evolution and the surrealism of the poetry is vastly different from his early love poems that made him famous. Nonetheless, the vivid imagery that Neruda is known for does shine through: “I do not know how to sing of the daytime / without meaning to I let loose the canto the exaltation of the night / the wind blew past whipping my back happy emerging from its egg / stars descend to drink from the ocean.” Mark Eisner’s “Introduction” reveals that Neruda took two years to compose Venture and it was a period when he began experimenting with automatic writing. This new City Lights edition also includes the text in Spanish as well. Neruda exclaims: “if you call to me storm you thunder as distant as a train.” Despite how opaque the text can seem; Neruda’s lyrical language and vivid imagery make this book a keeper. 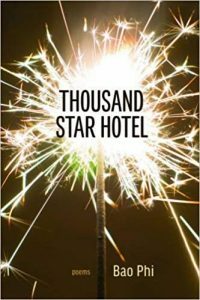 Thousand Star Hotel by Bao Phi is a dynamic book of poetry published by Coffeehouse Press that confronts the silence around racism and police brutality while also addressing the Asian American experience in 2018, colonialism, interracial romance and his undying love for his daughter. Phi’s latest collection of poems alternates between skewering social commentary and tender compassion. This poet has few peers that can match him in his assessment of contemporary culture and social justice. To this end Phi’s book is praised on the back by two recent Pulitzer Prize winners, novelist Viet Nguyen and poet Tyehimba Jess. The Vietnamese-American Phi first burst on the national scene through his appearances on HBO’s Russell Simmons Presents Def Poetry Jam and his breathtaking performances at the National Poetry Slam. Raised in Minneapolis, Minnesota, Phi melds pop culture, passion and politics into combustible word bombs that never fail to miss their mark. Phi’s poetry career dates to the early 1990s and he is definitely one of the poets Tara Betts was talking about that have spent the last two plus decades educating younger writers and promoting poetry. Phi has been a guest speaker at hundreds of schools around the country. He is also the program director of Minneapolis’s Loft Literary Center where he organizes workshops and readings. 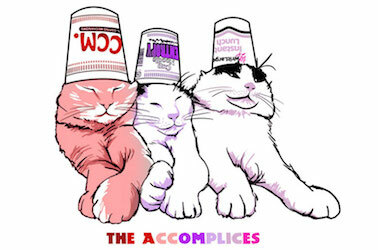 The many hats he wears epitomize the community spirit that hundreds of poets across America embody. 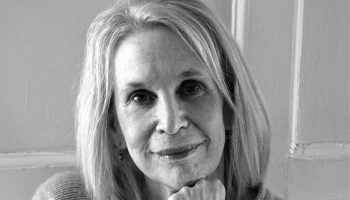 In poem after poem, the mix of poignancy and humor marry seamlessly. In the short piece, “’Allies’ Who Think They’re the Chosen Ones,” Phi writes: “Some dudes front like they’re the Harry Potter of antiracism / when really / they’re just trying / to Cho your Chang.” In “Our Minnesota,” he presents another side of the state not publicized. “Pass a small brown boy in a Batman shirt,” Phi writes, “pointing at you, teaching himself to say your name / not so far from where, years before / kids found a way to make your alien name / a wound.” Phi’s poems expose his wounds to reveal his humanity. Amid all his sarcasm and sharp wit, Phi finds the beauty in the people and landscape that reared him. Even more than this, he honors his daughter and declares, “I am so sorry / for the plastic worlds I helped bring you into.” These words are the closing lines of “Future Letter to Daughter Apologizing for When I Caved to Her Request and Brought Her to Barbie’s Dreamhouse at Mall of America.” The poem begins: “So many times I wish I were stronger.” As much as Phi grapples with the contradictions of our time, he loves his daughter more than anything. Phi’s honesty is ultimately what makes him such a powerful voice. These poems capture the verisimilitude and contradictions of 2018 with incredible precision. 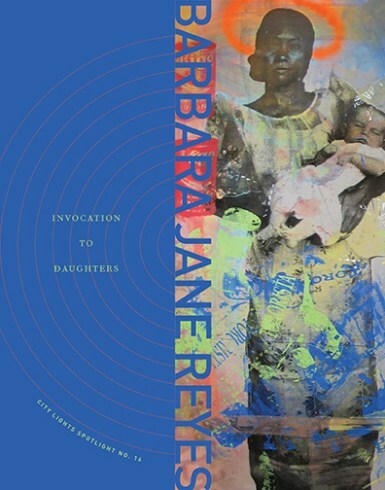 This is the 5th book of the Bay Area stalwart poet Barbara Jane Reyes. The poems in this potent collection are “prayers, psalms, and odes for Filipina girls and women trying to make sense of their own situations.” Reyes’s meditations not only apply to Filipinas, they are relevant for women everywhere and a real education for all men smart enough to listen. In the book’s second piece “Invocation to Daughters,” she writes: “Daughters, let us create a language so that we know ourselves, so that / we may sing, and tell, and pray.” The 25 pieces in this collection do this perfectly. Sesshu Foster lauds Reyes’s “3-pronged poetics that enjambs and reconfigures the formal with the street, utterance with erasure, the prose sentence with the liminal.” Like Tongo Eisen-Martin, she was also recently nominated for the California Book Award. There is a mathematical precision within these poems akin to the best formalists but like Sesshu Foster notes above, there’s a rawness to these verses that hits like only the honest truth can. As she states in the opening line of the book’s last piece: “I am not the polite little colored girl you are looking for.” Fortunately for us, she is Barbara Jane Reyes and we are all better because of it. This new book of poems is well crafted and deeply plugged into the zeitgeist of these times. 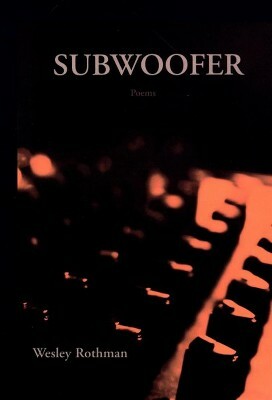 Poet Wesley Rothman characterizes his book by saying: “SUBWOOFER faces history & seeks to undo white supremacy, amplifies sonics, extends & experiments with forms, listens to the voices that so desperately need to be heard.” Rothman’s poetics are loaded with internal rhyme, specific poetic forms and most of all, self-scrutiny. He examines not only himself but whiteness in America and the 21st Century. His honesty about privilege is something a lot of privileged poets could learn from. Rothman also writes catalogue poems with a voice marrying Walt Whitman with Kendrick Lamar. In “Litany of Hustle” he states: “Hustle like the Big Bang boomerang / Hustle into a hologram. Hustle hurdle, higher, higher, higher still. / Hustle savagely, scavenge scrappily & hardscrabble for the scrap / Pat on the back.” Percussive alliteration and assonance flow with paronomasia in much of his poetics. The wordplay is rhythmic, and his intentions deliberate. The rise in the popularity of poetry can be attributed to many different factors. As Tara Betts tweeted a few weeks back, there have been countless slam and spoken word poets and community educators nurturing the craft over the last few decades. In many cases, the students of people like Tara Betts and the educators she mentions — become poets and educators themselves paying the craft forward. There are many poets in their 20s and early 30s that started with spoken word poetry in high school and then later went on to get MFA’s. There have also been many independent publishers, anthologies, documentary films, literary festivals and many more elements that have contributed to the ever-increasing interest in poetry. In recent years, boundaries have also been blurred between page poets and spoken word poets. These two worlds were usually separate, but many contemporary poets like Danez Smith, Douglas Kearney, Bao Phi, Mahogany Browne, Franny Choi and dozens of others walk in all these worlds and are equally loved by academia and spoken word fans alike. The award-winning poet Phillip B. Williams recently tweeted a sentiment that connects to the Tara Betts tweet I began this article with, the first part of Williams’ tweet is especially relevant. He writes: “1: Spoken word poetry has made a lot of what I do possible/imaginable. 2: I am not a spoken word poet. 3: Being called a spoken word poet is offensive because it simultaneously erases spoken word poets and my own journey through poetry. Learn what I do or do not contact me.” Williams is correct that there are different styles of poetry, but he is also correct when he says that spoken word poetry has helped open up poetry to some that may have not been open to it before. What matters most is that more people than ever before are reading poetry now because we really need it now more than ever.